i bake for you :): Let's play a game. And has this on top? 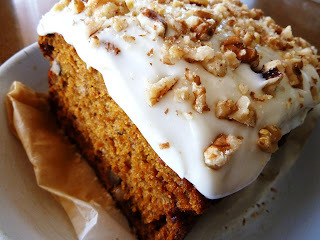 I finally got around to making a carrot cake. I spent so much time preparing the carrots and finely grating them with this hopeless grater that by the time I finished grating the 6 carrots, my right arm/hand was a bit disorientated and numb. -__- I do wish that I had a food processor to do it for me (I think we have an old one somewhere but I tend to do things the hard way and go manually than automatic for some reason..). I'm going to invest in a really good food processor one day! 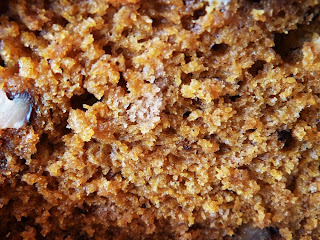 Anyway, as nutritious as carrot cake sounds, it isn't any much better than just plain cake (because although there's no butter, there's the oil..). As you know, I don't like either oil nor butter so I try my best to keep it minimal. Another thing I dislike are walnuts. Haha.. And there are walnuts in and on top of this. -__- I had a slice last night when it hadn't been frosted, so it's obvious that I'm no longer going to eat anymore because there's even more walnuts now! In a large bowl, combine flour, spices, baking soda and sugar. Create a well in the flour mixture. Add in eggs, yoghurt, oil and golden syrup. Throw in carrots and walnuts. Gently mix a few times till just combined. Spoon into a greased or baking paper lined large loaf pan. Bake for 1hr and 15mins or until cooked. 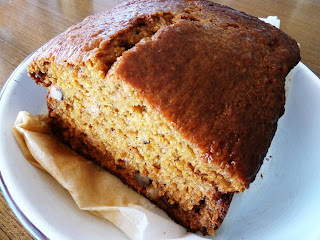 Serve immediately for a delicious crunchy crust and a warm soft internal cake. 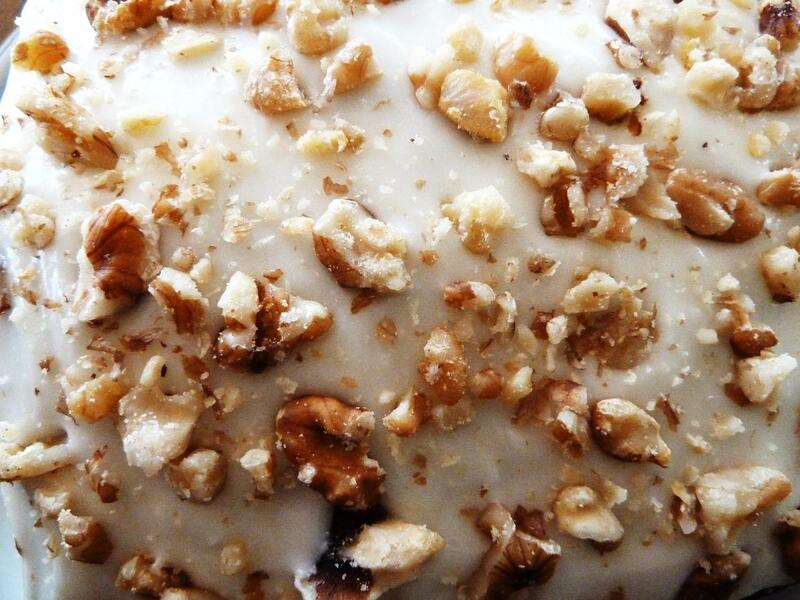 Allow to cool before applying cream cheese frosting and extra walnuts. Honestly, I'm not a big fan of carrot cake. I'd much rather have this Chocolate Chip Cookie Ice Cream Cake. But this carrot cake looks delicious, especially that frosting. Great job!